A man has died following a collision on the M60 motorway. Shortly before 10.25pm last night (Tuesday), police were called to junction 16 of the M60 to reports of a collision involving a white Ford Transit, a silver Toyota Avensis people carrier and a black BMW 1 series. Emergency services attended but a 60-year-old man sadly died at the scene. A 20-year-old woman and a 39-year-old man were taken to hospital with serious injuries. A 12-year-old girl was taken to hospital but she has since been released. 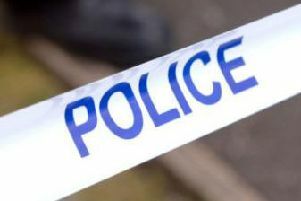 A 48-year-old man was arrested on suspicion of causing death by dangerous driving. He remains in custody for questioning. Junction 16 of the M60 was closed but has since been reopened. Police Constable Neil Pennington, of GMP’s Serious Collision Investigation Unit, said: “This was a tragic incident in which a man has sadly lost his life and two other people have suffered serious injuries, and my thoughts are with their families at this difficult time. “Our enquiries into the exact circumstances of this collision remain ongoing and I would urge anyone who saw what happened to get in touch with police. Anyone with information should call GMP’s Serious Collision Investigation Unit on 0161 856 4741 quoting reference number 2229 of 04/12/2018, or the independent charity Crimestoppers, anonymously, on 0800 555 111. Private school fees: how much does it cost to send your child to an independent school in Lancashire?